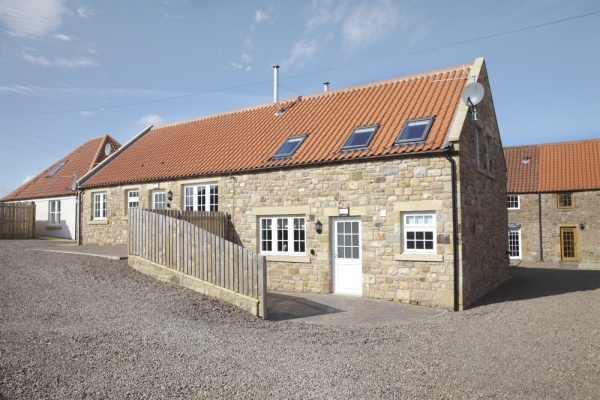 An attractive 2 bedroom property built all on one floor and situated in a stunning rural location between the A1 and the picturesque coastal village of Bamburgh. 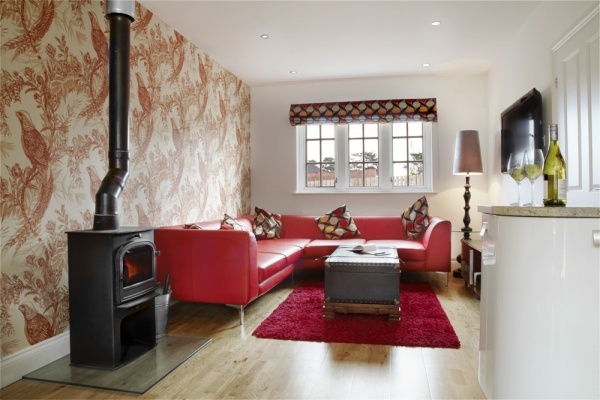 Set in the heart of the Northumberland countryside, Cherry Blossom offers easy access to Bamburgh’s golden beaches and castle and to Alnwick, Wooler, Holy Island and the Cheviots. There is level access from the front door and all passage ways and doorways have been widened for wheelchair access. Cherry Blossom also provides a disabled parking space attached to the front of this house. At the rear of the property, patio doors lead on to the court yard. Please note, there is a step down to the patio area here, however there is also a level path around the side of the property that will allow wheelchair access to the patio. Cherry Blossom has central heating. Bedroom 1 is a large double with a zip and link bed, which can be either a super-king double or a twin singles. There are two bedside tables with reading lamps, a dressing table, chair and wardrobe. The first bedroom also has a flat screen TV with Sky. The room is spacious and suitable for wheelchair access. Bedroom 2 is a small twin room with bedside table with reading light. There is hanging space for clothing in the cupboard, small vanity area. Toilet / Wet Room with a widened doorway for wheelchair access. Living room / Dinner / Kitchen: this area is an open plan kitchen, dining and living space. Fully fitted kitchen with dishwasher, microwave, and fridge etc. Marble worktops. Dining area suitable for 4 people. Leather seating area, suitable for 4 people, large flat screen TV with DVD, and Sky Package. Spacious enough for wheelchair access. 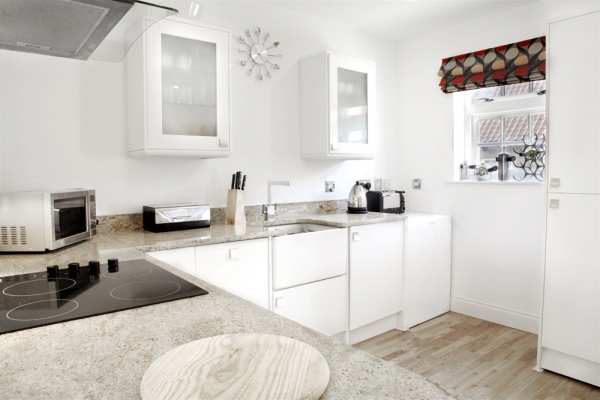 But the worktops have NOT been lowered to wheelchair height. Upon request and additional costs apply: private chef, guided Northumbrian safaris, food delivery, weekly maid services, mid week linen change. 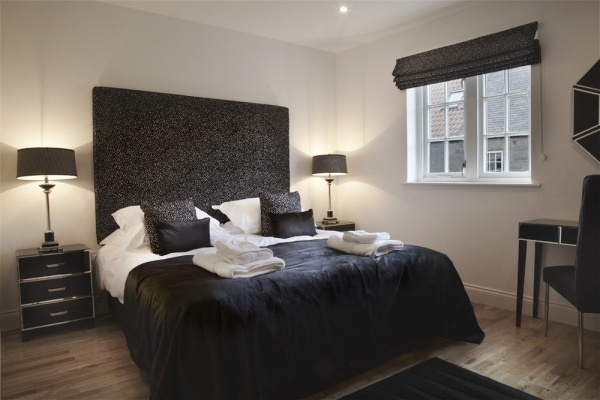 Cherry Blossom can be booked together with Apple Blossom to accommodate up to 10 people. Please call our office on 01665 721 332 for further details.